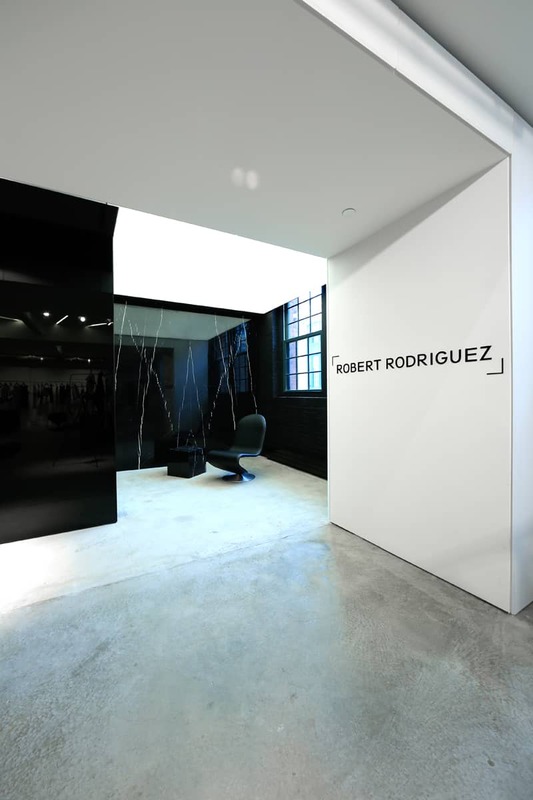 DFA created a high-quality environment centered entirely on Robert Rodriguez’s collection, conceiving of a “clothing arena” to elevate the experience. 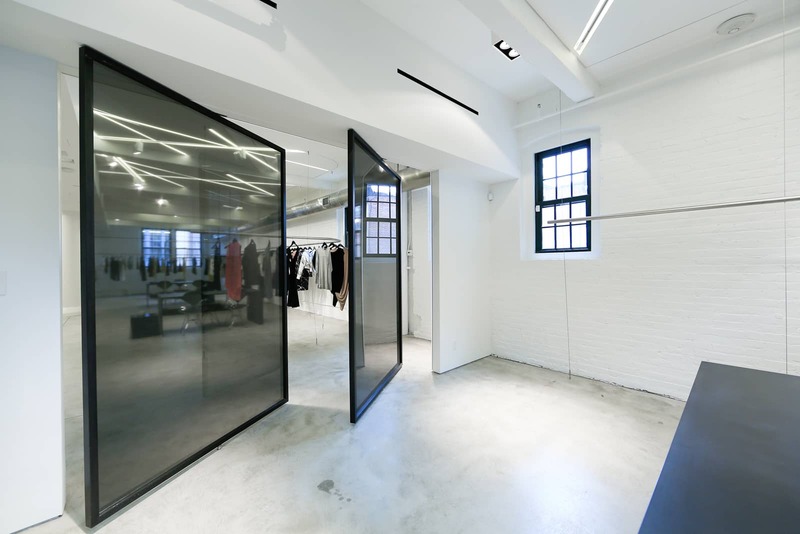 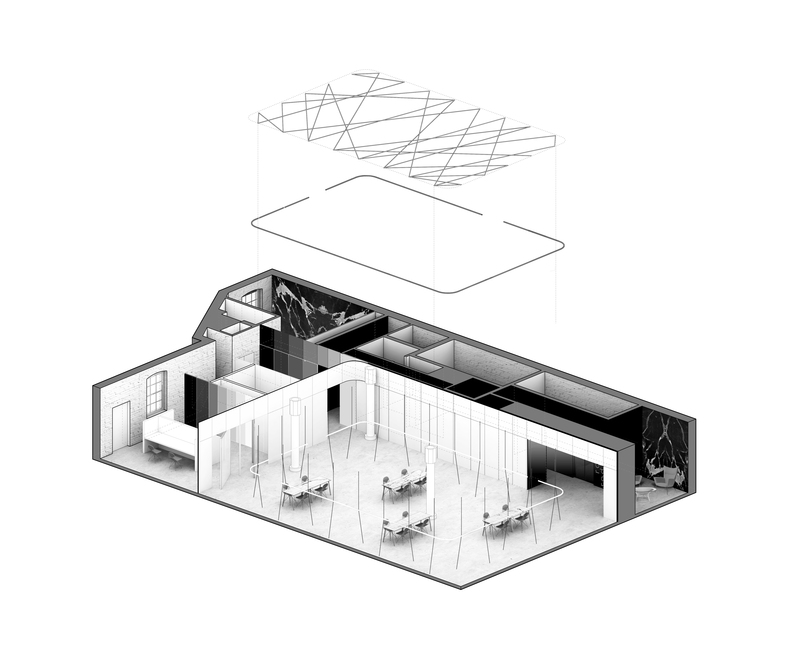 The showroom is a large, white space, and the design allows for the individual pieces to hang around its perimeter, with meeting spaces in the center. 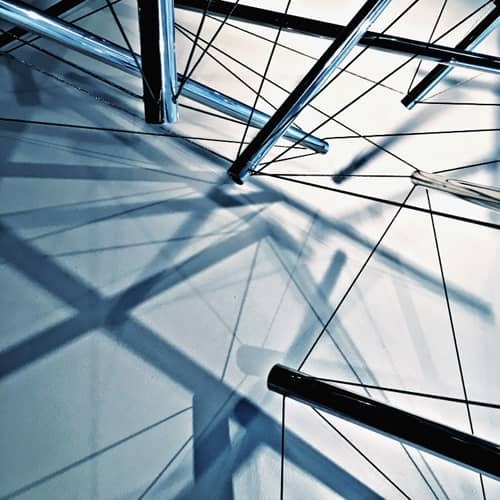 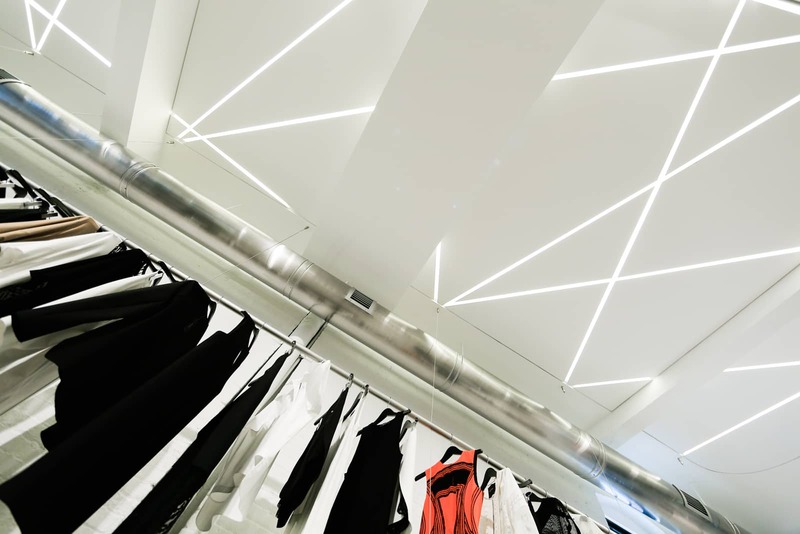 Hanging racks are suspended from the ceiling with 1/8th-inch cables fastened at five-foot intervals. 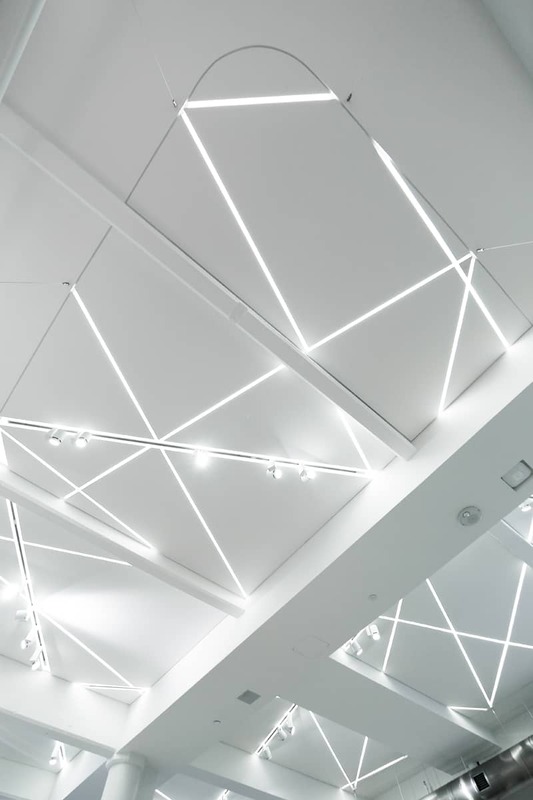 The overhead lighting scheme is designed as a mesh of illumination, with recessed beams of light connecting each cable fastening point. 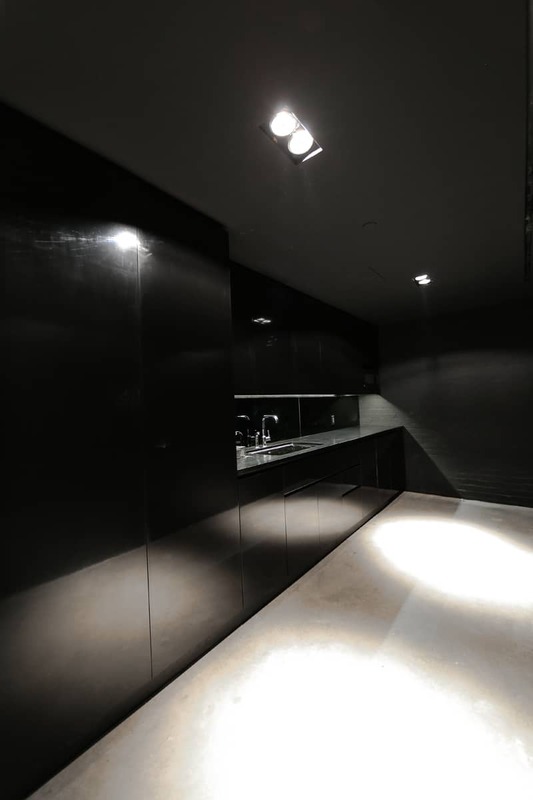 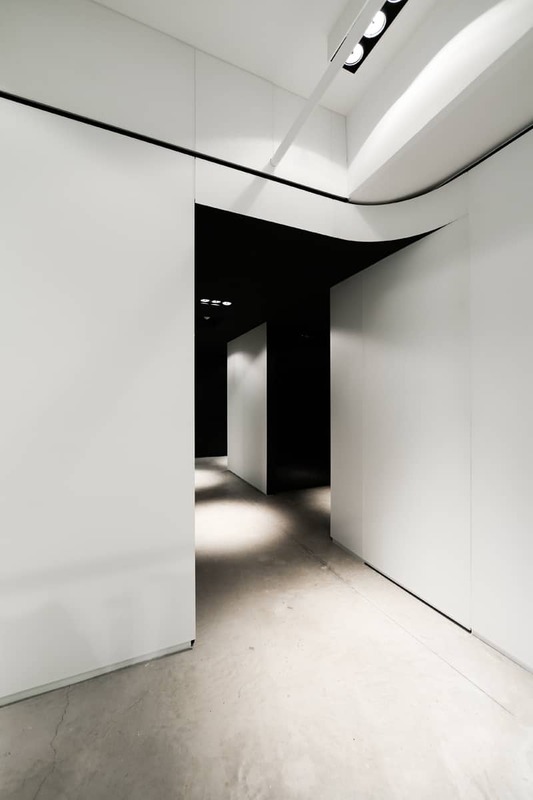 The showroom is blanketed entirely in white, save the polished concrete floor, and textures are uniformly matte, creating as little visual ‘noise’ as possible.